Tekken 6, Soul Calibur V, and Tekken Tag Tournament 2 are returning to the PS3, all in one pack. It looks like fight fans who’ve missed out on or traded in some of the best fighting games of last generation are in for a treat that should save some space on the old gaming shelf. 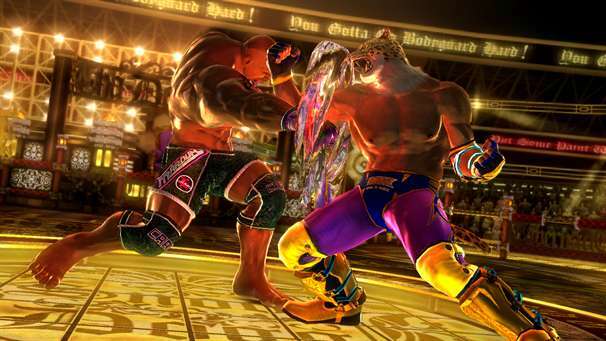 Bandai Namco is bundling together three of their top tier fighting titles in one neat little package with Tekken 6, Soul Calibur V, and Tekken Tag Tournament 2 becoming roommates in the bundle. The game(s) will be arriving next week on retail shelves, which sneaks it in just before the Christmas holiday. Website MCV uncovered the listing and has pursued the publisher about pricing, presumably, since all three games in the set are pretty old there should be a decent tag associated with this one, but we’ll keep you posted. Also worth a note, we did some digging into US store websites and found no listing for any such pack, so this one might be limited to a UK release. Again, we’ll let you know if anything comes across.